Ok, I'll concede the primulas are past their best for this year, but next spring they'll be gorgeous once more! 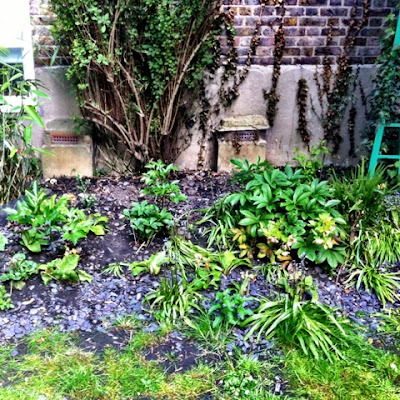 But as free plants go they're not bad..
Free because the council were replanting the municipal beds and these would be thrown away and they were happy for these (and others before them) to go to an alternative final resting place. Definitely a case of being in the right place at the right time. 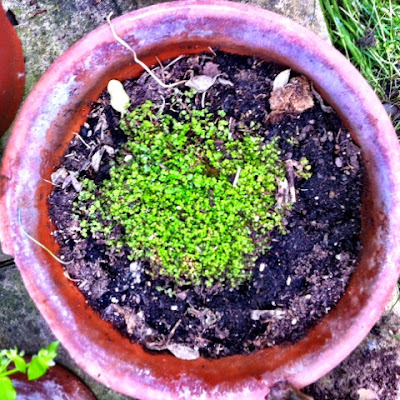 I've also acquired some "Mind Your Own Business" from my dad's garden - he's happy to see the back of it and I refuse to pay £5.99 for a six inch pot of it, so it's a good deal for both of us! It's a great name for a plant too and provides hours of childish fun when MOH asks what it is. We've recently added three peonies, a hebe, a hardy geranium and more hellebores here to the existing hellebores, bamboo, bluebells and berberis - which is a prickly wotsit giving me two splinters through gloves this weekend. 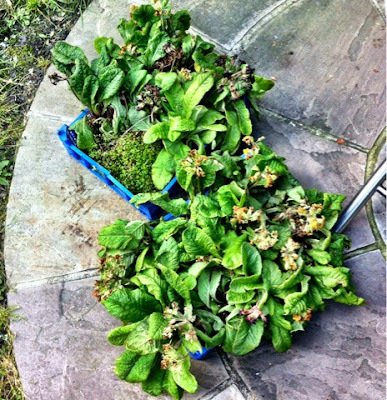 Now add primulas to that list - next year our spring planting should be sorted. We've needed to concentrate on this part of the garden as over the winter we lost a large buddleia which was damaged in a storm and never recovered. 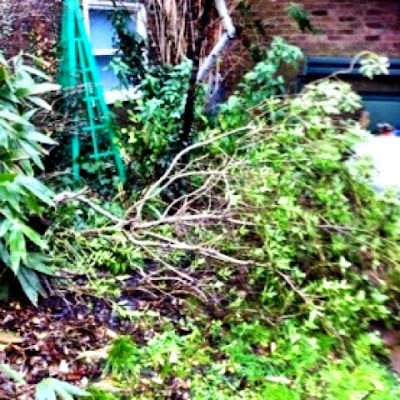 This was the picture I took back in January which shows the toppled bush. It left a rather large gap! 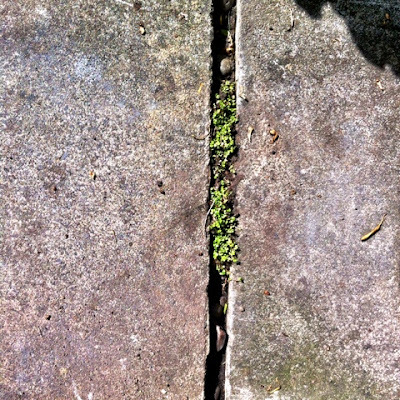 As for the MYOB I've planted some in between paving slabs and am now waiting for it to do its thing! I've a feeling that this year we could make some real headway in our garden. And that makes me happy!